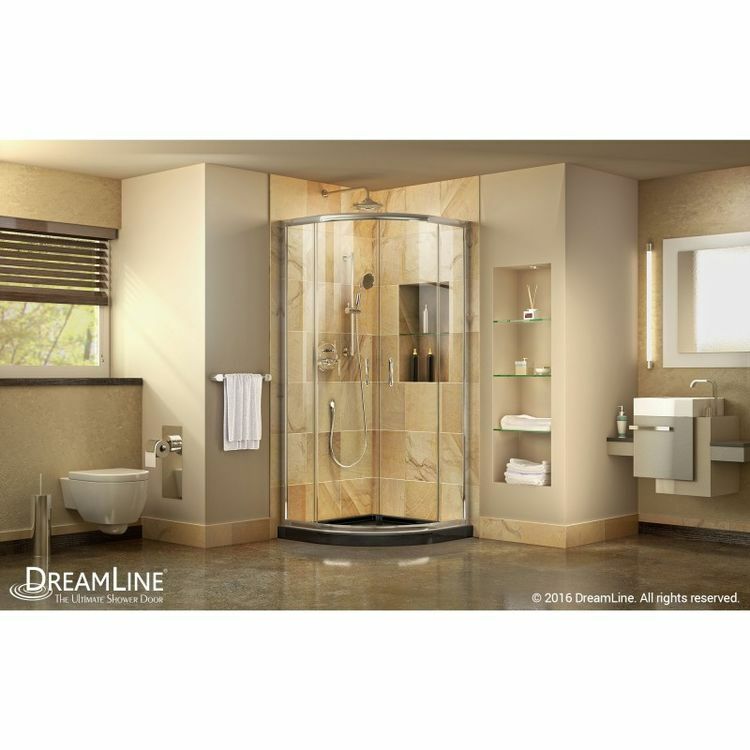 Transform the look and feel of your bathroom with this DreamLine DL-6702-89-01. It is a Prime frameless sliding shower enclosure with a coordinating SlimLine shower base. The Prime shower enclosure is 34 3/8 inches deep, 34 3/8 inches wide, and 72 inches high. It comes with a chrome finish. 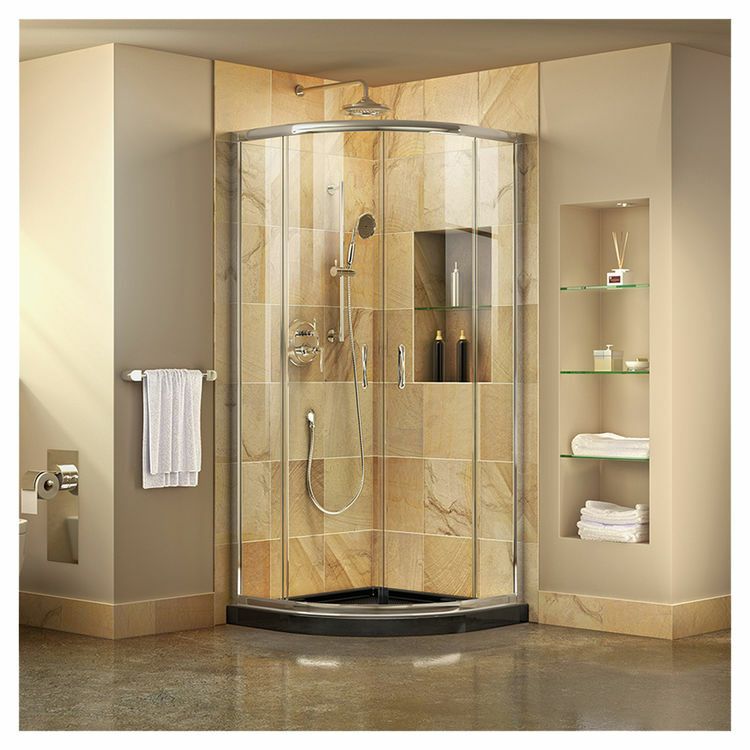 It offers a quality 1/4-inch (6mm)-thick ANSI-certified transparent tempered glass which makes it highly proven when it comes to quality, safety, and reliability.Water cannot enter nor pass through this shower enclosure, thanks to its full-length magnetic strip.The center-opening sliding door design provides ample space for entry. The two stationary panels measure 13 7/16 inches with a 20 3/8-inch door walk-in. This shower enclosure is suitable for limited bathroom space where a swing door will not work.The black-colored SlimLine shower base included in this kit has dimensions of 36 inches W x 36 inches D x 2.75 inches H. It comes with a high-quality and stain-resistant glossy acrylic finish. It is designed for corner and direct-to-stud installation. Its floor pattern is textured, slip-resistant for safe bathing and showering. Constructed of quality fiberglass-reinforced materials, this base is strong and highly corrosion-resistant. It has an integrated tile flange which prevents water leak. 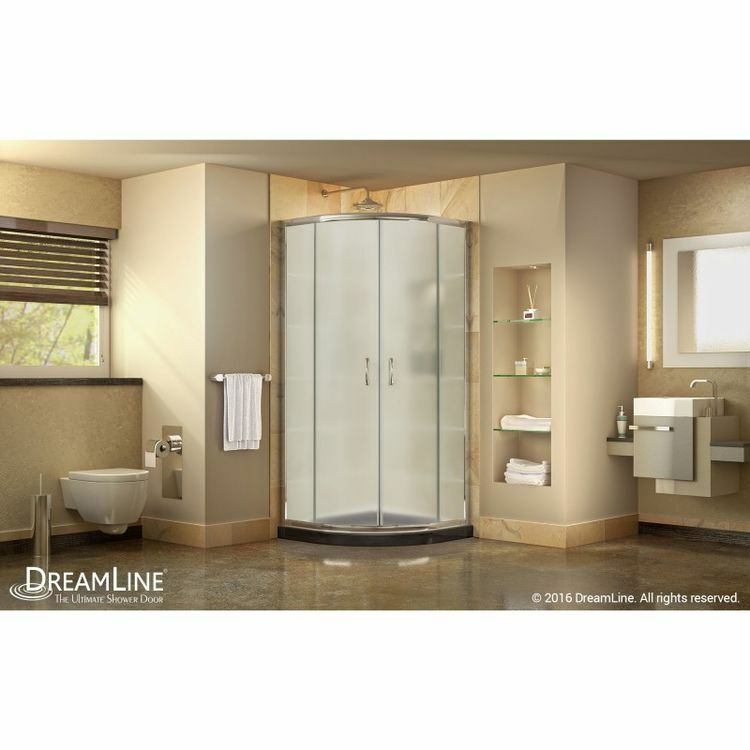 This product is covered by a manufacturer's limited lifetime warranty.DreamLine manufactures and distributes affordable high-quality shower enclosures, shower doors, tub doors, and acrylic shower bases within residential and commercial marketplaces. 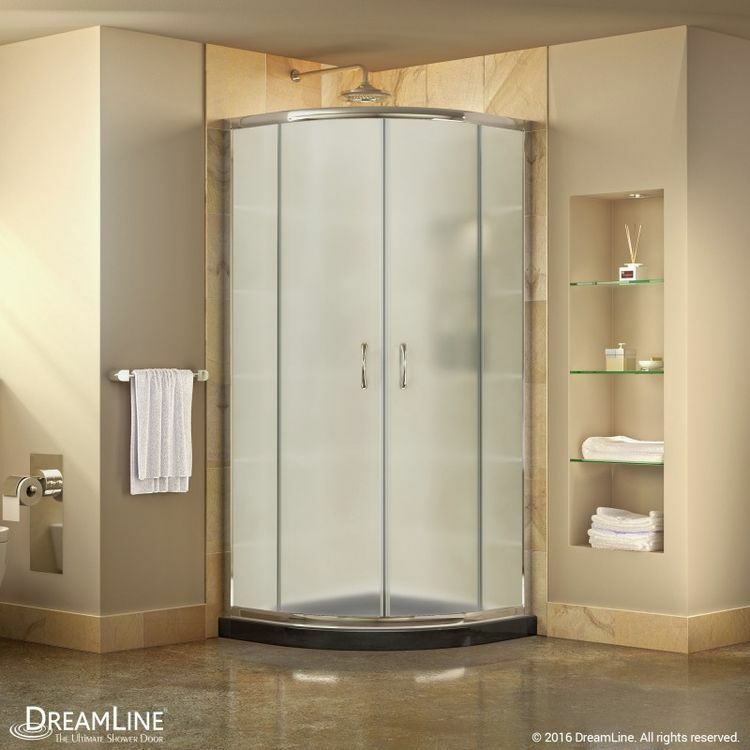 With sleek modern design and overall quality assurance, they have achieved worldwide recognition for custom and off-the-shelf shower door solutions. Door walk-in: 20 3/8 in.